I wanted fresh buns to go with my pulled pork from my last post. I found a recipe for yeast buns that included buttermilk and decided that this was the one that I would go with. I have been baking more with buttermilk and I like the results of using it. The buns were perfect for the pulled pork. The buns were nice and sturdy; they stood up to the sauce of the pulled pork. The flavor and texture were wonderful. I guess what I trying to say these buns were perfectly delicious for the sandwiches that we made. They would be perfect for you summer grilled burgers or whatever sandwiches you serve this summer. Mix together the 2 cups flour, salt, sugar, and yeast in a large bowl. Pour in the egg, butter, and milk, and mix with a spoon until well blended. Gradually knead in the rest of the flour. Continue to knead bread until the dough is soft, supple, and tacky, but not sticky. This will take about 6 to 8 minutes of kneading. Grease the bottom of bowl and turn dough to coat both sides. Cover dough and set in a warm place for about 1 1/2 to 2 hours or until the dough is doubled in size. After the double is doubled in size divide into 12 equal pieces. Form into ball and place them on to prepare sheet pans and flatten slightly with your hand. Let the buns raise for another 60 minutes or until about doubled in size. Preheat oven to 400 degrees F. Brush the buns with the egg wash, you can garnish with poppy or sesame seeds, if desired. Bake the buns for approximately 15 minutes, or until they are golden brown. Once the buns are done baking place them on cooling rack to cool. Serve. What wonderful looking hamburger buns…with your delicious pulled pork, you prepared terrific sandwiches. 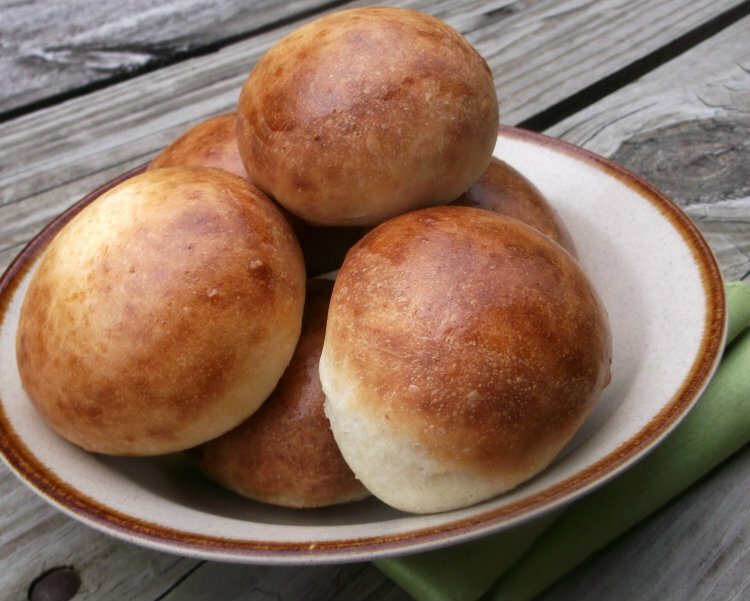 Great looking hamburger buns! 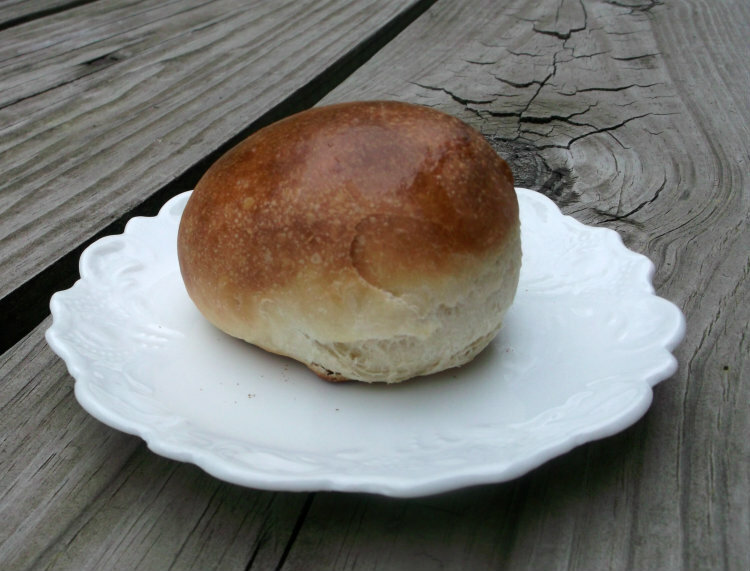 We rarely make our own hamburger buns, something we need to correct. 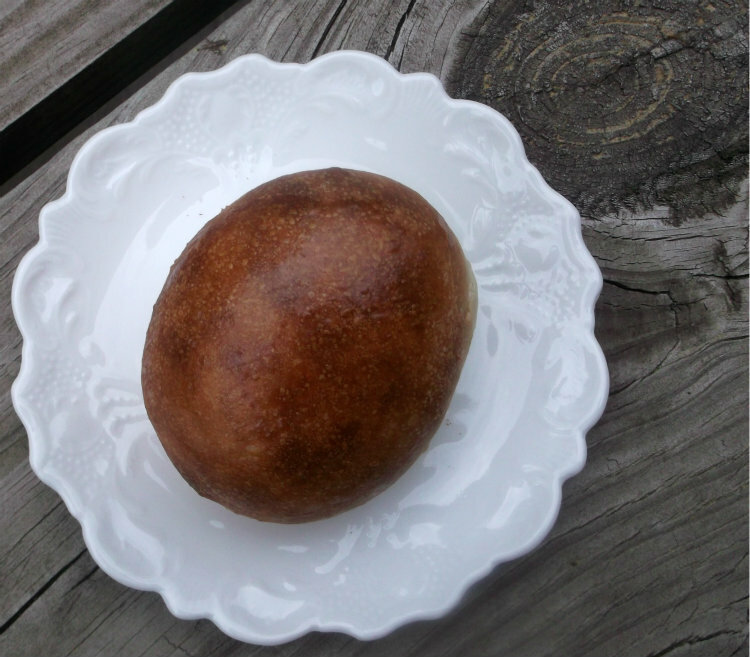 We’re baking all of our bread these days, so I suspect next time we have hamburgers, we’ll do the buns, too. Love the idea of buttermilk in them! Great recipe – thanks.